Large finger friendly checkboxes and radio buttons. Visual update to the messaging app to make it more finger friendly. Visual update to the rotatable list or tabs to make it look more brighter and polished. More blue has been added to the bottom bar when navigating through sub-menus. It remains transparent on the home screen. More precise and smoother scrolling. Large finger friendly check boxes. Large finger friendly radio buttons. Messaging app gets a finger friendly blue-colored item selector. Bunch of new icon-based buttons have been added as can be seen on the bottom bar. Yes there is one more subtle change, that went unnoticed. Previously, if you dont have Windows Live cooked into your ROM, when you created an email account with hotmail.com in the email application, it asked you to go and download Windows Live, didn't gave you chance to configure it for POP3 even when its available for so long. We had to enter some fake email address first and then configure the account manually, edit it afterwards and set the email address right. But with this build, it automatically reverts to Hotmail POP access and auto-configures the account 🙂 Although country specific domains like live.in for India are not recognized yet. But its a good start. great ! will give it a go! Any person make cook rom for Toshiba G810 ???? where is the download's link ? Im very excited to see where the builds are going nowadays.. this is a good start, i think in the next few leaks there will be a lot more cosmetic updates which is a good thing!!! At last windows mobile start looks good. 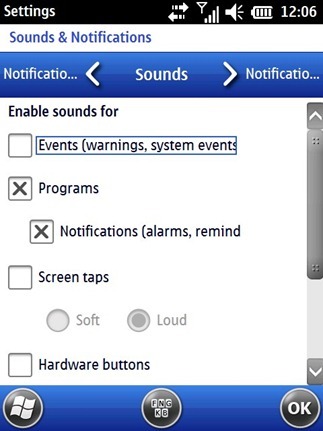 I hope that to release date of final version of WM6.5 it will look good enough to compete with Android or iPhone OS. 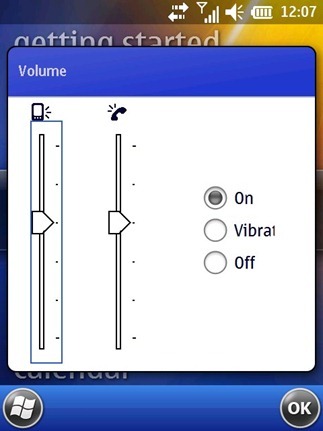 About screenshots above, developers of WM6.5 should change Volume sliders (actually sliders looks like in WM6.1/6.0/5.0/2003(SE)/2002 what means “ugly”) and button for on/vibrate/silent mode to more finger firendy. Anyway everything is going to good way so i wish all the best to Windows Mobile 6.5 developers. Windows Mobile 6.5 will be on phones starting from October 6th 09. Does anyone know if the HTC touch cruise can be updated to 6.5? 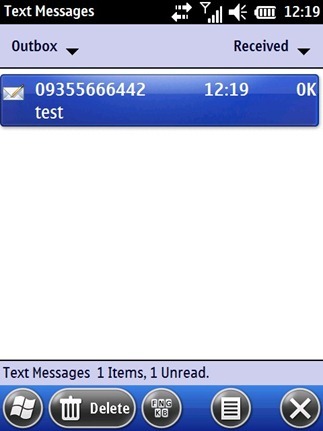 Oops… these screenshots really show that those MS designers are clueless about how to get out of the harness of the original Windows Mobile design. I don't care so much for the blue that was added. Makes it look more like an amateurish Windows XP wanna be. I think they should go with a transparent gradient black like you see in Windows Vista. Why do they bother keeping the top bar with the connection / battery status! That uses up at bit of the screen and makes it look bad! If a person wants that information then they should be able to put it there! Is this easy to download for someone who isnt a computer expert? Im fairly advanced on computers but im not sure if that’s enough. Im also unable to find a download link. Does any one know if this will work on my HTC TyTn III? whats the link to download wm6.5? but is this the final version for windows mobile ? do you advice to download 6.5 or wait till 7? Please let me know where the download link is? download link is on the tuimmus page. Where? Can you provide a link? 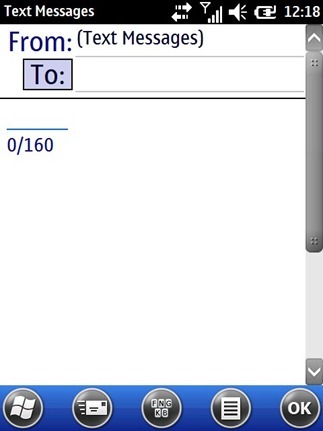 Donna please email me the link to windows mobile 6.5. 2. No multitouch in Internetexplorer. As usual, this is very ameturish. And opera as well. Browser in ipone is much better. 5.there is no settings to organize icons. 6. i cannot configure the mail to use wifi. It always uses the 3G data connections. But in iphone it works like charm. i wanted to go back on 5 but is kind of impossible. i am so sorry, i was hoping that toshiba will be better. Besides some software will not work on TG01. example the GPS software iGO. I installed CoPilot instead altough is more expensive and poor maps. i have htc touch windows mobile. Now which htc version is best to chang the version from 6.0 to which better. Please send the Link would like to teat! 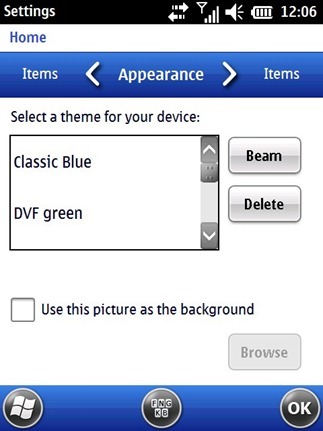 Does it work with IPAQ hw6915 Mobile Messenger? 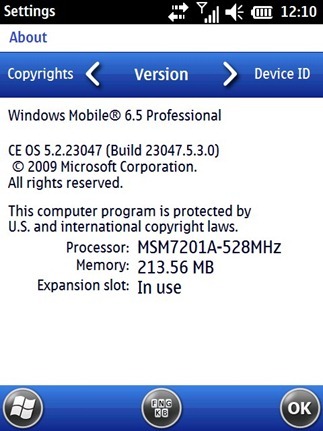 I would also like to download Windows mobile 6.5 if it's still available. You might be a “windows man,” but that doesn't help if you don't know how to use the device =P. Screen rotation depends entirely on the phone, not the OS; I have WM 6.1 and an LG Incite, and screen rotation works on all sides. The mail and probably internet as well use the 3G data connection rather than wifi because you haven't configured it to do that. You need to disable the proxy and use the correct network adapter for it to work properly with wifi. I might stick with WM 6.1 because I don't want my Garmin Mobile XT GPS software to become dysfunctional just because of an OS upgrade.